after Telemann, played by George Secor on the Motorola Generalized Keyboard Scalatron in 1976. It is said that truth is sometimes stranger than fiction. The following account of the remarkable events that brought about the development of the Sagittal microtonal music notation is one outstanding example, stranger than even the alternate tunings for which the notation was designed. Our story begins at the start of the twenty-first century in the alternate reality of cyberspace, at an inconspicuous location on the Internet known as the Alternate Tunings Mailing List at http://groups.yahoo.com/group/tuning/, a Yahoo! group organized "for exchanging ideas relevant to alternate musical tunings" – tunings that differ significantly from the division of the octave into twelve equal parts that has had a virtual monopoly for the music of Western civilization for longer than (almost) any of us can remember. It may seem strange that anyone would want to use an alternate tuning, when the standard one has been so overwhelmingly successful, but the reasons will become evident once we see how the present system of tuning came about. The topic of alternate tunings has a long and honorable history, going at least as far back as the numerous scales described mathematically by the tuning theorists of ancient Greece -- scales in which the intervals were defined by ratios of whole numbers (representing parts of a vibrating string length or, more recently, relative frequencies), establishing a basis for music utilizing pure tuning (or just intonation). Only one of these scales survived to become the mainstay of the Middle Ages. This was the Pythagorean tuning, consisting of tones related by a chain of just (or pure) fifths and/or fourths in the exact ratios of 2:3 and 3:4, respectively. (Since the largest prime number in these ratios is 3, this is classified as a 3-limit tuning.) 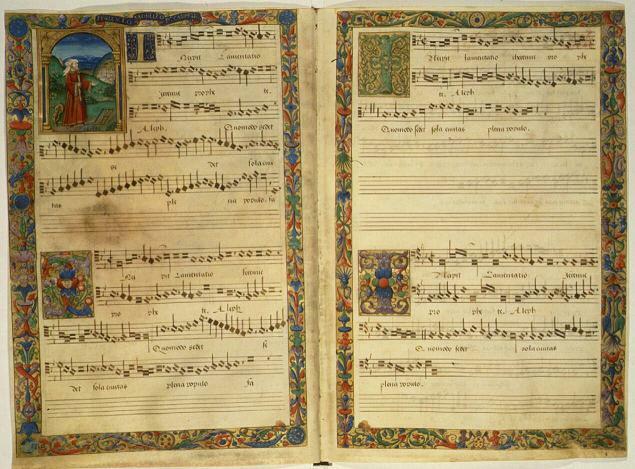 The Pythagorean tuning served western Europe well for many centuries, until the rise of polyphonic music. In every century since the late Middle Ages there have been advocates for tunings in which the just fifths of the Pythagorean tuning are altered (or tempered) slightly narrow in order to make its dissonant thirds and sixths more consonant and harmonious. This practice eventually resulted in the general adoption of the meantone temperament in most of Europe by the 16th century. The meantone temperament, with its pure major thirds and minor sixths (with exact ratios of 4:5 and 5:8, respectively, which extend the prime limit to 5) has major and minor triads with less than 1/4 of the error (with respect to just intonation) of the triads found in the Pythagorean tuning, but with the passage of time it posed a problem. Since enharmonically related sharps and flats differ significantly in pitch (by the meantone diesis, approximately 1/5-tone), free modulation is not possible with only twelve tones per octave. Although some keyboard instruments were made with split keys to provide a few extra sharps and flats (and thus a greater range of modulation), this still did not allow free modulation. Other solutions were sought, such as well-tempered tunings -- unequal twelve-note tunings in which all keys are playable, but with the triads in the more common keys sounding more consonant (or meantone-like) than those in the less common keys (generally Pythagorean). As extensive modulation and chromaticism became increasingly common in the 19th century, the twelve-tone equal temperament (12-ET) gradually displaced both the meantone and well-tempered tunings, and by mid-century it attained a virtual monopoly that has lasted to this day. In 12-ET the major and minor triads are equally good (or bad, depending on your point of view) in every key, with approximately 2/3 of the error of Pythagorean triads. This is almost 3 times the error of meantone triads, so it should not be surprising that it took centuries for the relatively dissonant-sounding triads of 12-ET to become generally accepted as consonant. Modern musicians, having grown up hearing nothing but 12-ET, who are introduced to a more consonant tuning (such as the meantone temperament) for even a very short time almost invariably find it shocking to discover how jarring or restless the triads of 12-ET sound by comparison. This would therefore seem to be a compelling reason for investigating the possibilities offered by alternate tunings, but it is not the only one, and probably not even the most important one, for the majority of the members of the Alternate Tunings group. Again, this reason will become apparent once we examine the history of musical harmony. Although the 12-tone division of the octave made possible the development of a highly chromatic system of harmony, it was also responsible for the eventual demise of that same system, which resulted in the loss of a general audience for new "serious" music. As composers in the first half of the 20th century realized that the harmonic resources of 12-ET were nearing exhaustion, many of them began discarding existing harmonic norms in favor of new techniques that resulted in music that was (and still is) often incomprehensible to the great majority of listeners. Unable to compete in the musical marketplace with jazz and other "popular" styles, most new "art music" was forced to retreat to the halls of academia, where it could be appreciated only by an elite few who made the effort to understand it. One obstacle facing the adoption of any alternate tuning is the requirement of new instruments and special training, which could not take place without an investment of time, money, and effort that few have been willing to make, given the lack of a significant body of music for alternate tunings. Conversely, significant music for alternate tunings is not likely to come into existence without individuals adequately equipped and trained to perform that music. Whatever the reasons, neither the quartertone nor the 31-tone movements, nor the proponents of just intonation, were able to persuade the rest of the musical world that theirs was the wave of the future, and the university musical establishment now generally considers any efforts to create music using alternate tunings a waste of time, an attitude that follows the belief that there is only one tuning both suitable and practical for musical harmony (and thus relevant to the music of western civilization): the division of the octave into twelve equally spaced semitones. Yet the members of the Alternate Tunings group do not give in to discouragement, for they are confident that their cause is valid and good, and that one day their beliefs will be vindicated. In the meantime, they press onward to expand the body of knowledge relating to their topic -- discovering new musical tunings and scales, developing the underlying theory, and composing new music. In the course of their discussions, they sometimes reach a consensus regarding how best to accomplish their objectives. For example, there is now broad support for the idea that the 72-tone division of the octave (72-ET) is a good alternate tuning option in that it not only provides new consonant harmonies using close approximations of both 7-limit and 11-limit intervals, but also greatly decreases the error of the 5-limit consonances, while at the same time maintaining a link with current practice, since all of the tones of 12-ET are contained in 72. On the other hand, there have been ongoing differences of opinion as to how such tunings as 72-ET (or even the much simpler 24 division of quartertones) should be notated, not only among the members of the group, but outside the group as well, as evidenced by decades of practice in which, for some tunings, there have been almost as many different notations as composers. As if this were not enough of a problem, even if agreement were reached regarding the notation of each of various tunings, there could still be notational conflicts between tunings, where a given symbol might mean one thing for one tuning and something completely different for another tuning. Problems such as these only diminish the chance that the alternate tunings movement will ever be taken seriously by those in the musical mainstream. It is around these two issues, 72-ET and notation, that our story begins to unfold.